Wrist Rope Cubism Double | Zonyxa. Unique and contemporary jewellery for Work. Love. Play. 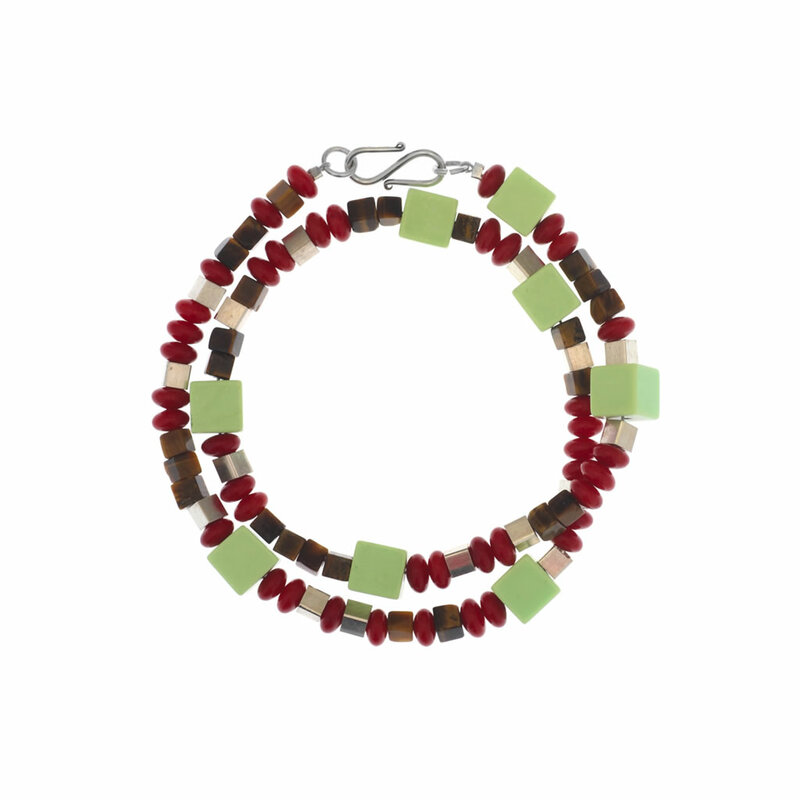 This unique bracelet is crafted from neon agate cubes, tiger eye cubes, rich red coral roundels and sterling silver cubes. Materials: Neon agate, tiger eye, coral and sterling silver cubes double wrist rope.